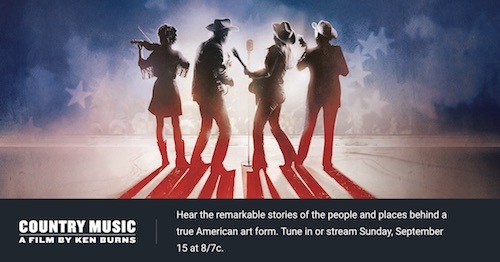 A new documentary series, Country Music: A Film by Ken Burns, is set to premiere Sept. 15, airing on PBS stations and streaming. Director Burns’ many previous documentary subjects have included everything from jazz to the Civil War to baseball. “Country Music will chronicle the history of a uniquely American art form, rising from the experiences of remarkable people in distinctive regions of our nation. 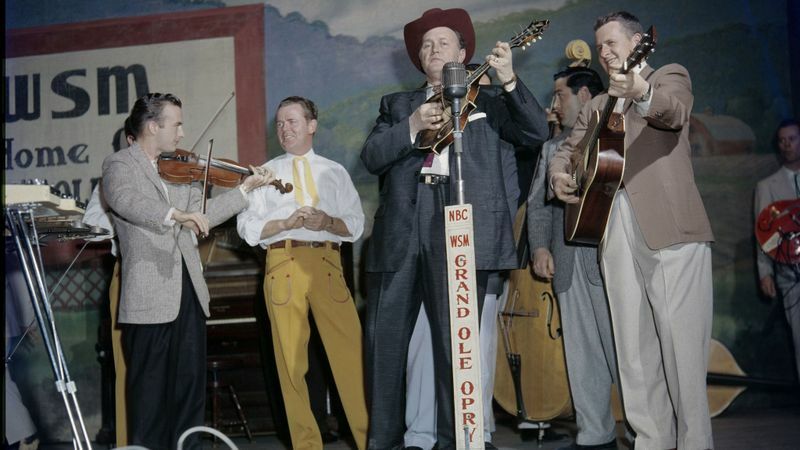 From southern Appalachia’s songs of struggle, heartbreak and faith to the rollicking western swing of Texas, from California honky tonks to Nashville’s Grand Ole Opry, we will follow the evolution of country music over the course of the twentieth century, as it eventually emerged to become America’s music. “It will be directed and produced by Ken Burns; written and produced by Dayton Duncan; and produced by Julie Dunfey—Emmy-award winning creators of PBS’s most-acclaimed and most-watched documentaries for more than a quarter century, including The Civil War, Lewis & Clark: The Journey of the Corps of Discovery, The National Parks: America’s Best Idea, The Dust Bowl and many more. “Country Music will be a sweeping, multi-episode series, exploring the questions, ‘What is country music?’ ‘Where did it come from?’ while focusing on the biographies of the fascinating characters who created it—from the Carter family, Jimmie Rodgers and Bob Wills, to Hank Williams, Johnny Cash, Loretta Lynn, Charley Pride, Willie Nelson, Dolly Parton, Merle Haggard, Emmylou Harris, Garth Brooks and many more—as well as the times in which they lived. And like the music itself, Country Music will tell unforgettable stories—stories of the hardships and joys shared by everyday people.